This post will help you make up your mind about investing in value stocks from the position of insider knowledge not irrational fear. Over my two year long affair with value stocks I learned a lot about investing, I rode the hills and dales of the stock market and, finally, decided that investing in value stocks doesn’t rock my world. Here I share my experience and insights. Shall we start with feeling overwhelmed? Do you have any experience with value stocks investing? Please do share. Today I sold my last shares and officially said ‘farewell’ to my treasured Rule Breakers portfolio. Why ‘rule breakers’ you may ask? Because my portfolio had shares I selected from The Motley Fool’s Rule Breakers portfolio. This consists of companies that are under-valued because they are still young or because there is something ‘cooking’ that is at early stages of development. Frankly friend, to succeed in value investing, you don’t need a beginner’s guide; you need to become a very fast learner. And a beginners guide to fast learning there isn’t – you either commit to it or you lose your money. That is it. What you are reading is the story and insights of someone determined to crack investing in value stocks. Someone who up-scaled from an absolute beginner to a (relatively) savvy value investor in two years; then decided that value investing is not for her. Ten years ago investing and I were anonymous strangers passing each other in the dark. Heck, ten years ago money was something I constantly worried about instead of something that I took charge of. This is about my background and my money mentality. Growing up in communist Bulgaria, on my grandparents’ farm didn’t teach me much about money and investing. Then we found ourselves in debt and I set about to learn all there is to know about money: how to make it, how to keep it and how to make it work for you. This learning, mixed with good portions of courage, stubbornness and luck, helped me pay off £100,000 of consumer debt in three years. While paying off the debt, I became good at making money. Problem was, all of it was from labour. Now, working hard may be a virtue but it is also exhausting and has firm and clear limits. Every night when I fell into bed after a fourteen-hour workday, I’d go to sleep dreaming of a different life; a life where I work smart, and my money works even smarter. One day I woke up and decided to learning about investing. After all, how hard could it be, right? When I learned enough, I started experimenting. My early investing experiments were with two ‘non-traditional’ investments: I opened an account with Nutmeg when they were new and we put some money in The House Crowd. But you see, Nutmeg and The House Crowd were ‘solid’ investments. They were like having a relationship with a saint: it is all very good and proper but there is no excitement, no passion and no surprises. Boring. I knew that what would give me a thrill is getting involved with value stocks. Every time I thought about investing in value stocks I’d feel a flutter of excitement in my belly. Whenever I thought about buying shares I also felt paralysing apprehension. Since I’m putting my cards on the table, I may as well tell you that I was also fearful of loosing big time, of failing and going back to square one of my money life. Most of all though, I was honest with myself: I accepted that I’d like to try investing in value stocks and that I feel fearful and overwhelmed. This is why I had to do it! Fear of loss also known as ‘loss aversion’. Let me tell you how I overcame these feelings. First, I really didn’t know much about value investing. This was easy to remedy: I’m a university professor not because I know a lot but because I learn fast. I read some books. If you are interested, I’d recommend The Intelligent Investor by Benjamin Graham and The Little Book that Beats the Market by Joel Greenblatt. What I found overwhelmed me even more than my lack of knowledge about value stocks was the question of how to select shares to buy. Let me tell you, the very thought of going through pages and pages of small font of companies, and company information threw me into a tizzy. How I solved the problem with selecting shares? I decided that the solution to this problem was to reduce my choice; e.g. to select shares from a pre-selection. My next step was straightforward: I just need to research the different platforms that share their portfolios. My investigations led me to the different portfolios the Motley Fool offers. Their Rule Breakers portfolio appealed to me as a pre-selection of value stocks that I could use. Another matter I had to tackle was the selection of an investing platform. For this, I used a very helpful comparison of DIY investing platforms. I set out two requirements for the investing platform that I’d use for my Rule Breaker portfolio. First, the platform didn’t have to be the cheapest but it had to provide the best value for money. And second, the platform had to allow me to trade on the US stock market without much ado. The platform that met my conditions was TD Direct Investing. As a stroke of luck, they also had a lower trading fee for women when I opened my account. In three easy steps, my sense of being overwhelmed disappeared. I was ready to start my portfolio. Dealing with my loss aversion, or the fear that I’ll loose all my money, was quite a bit harder. One thing that helped was the decision to build my portfolio using money that I could do without. Hence, I decided that I’d buy shares using only the income from my online side-hustles. Another trick to tackle my loss aversion was to learn, and remember, the simple rules of diversification: as a rule of thumb a portfolio of fewer than fifteen different stocks is overly exposed; so is a portfolio consisting of stocks in one industry, etc. Two months after I decided to learn about, and commit to, value stocks investing I opened an investing account with TD Direct Investing and started building my individual stocks and shares portfolio. Still, it took great deal of fortitude to watch my shares lose value every day for the first several weeks (remember the beginning of 2016 and what happened to markets?). My affair with value stocks investing was rather tempestuous from the outset. From the first days of my affair with value stocks investing, it showed itself to be a very high maintenance lover. First came the unrequited love. Though I selected the shares I bought carefully, bought in companies I’m not entirely ignorant about, researched everything meticulously and diversified, my portfolio kept losing value. 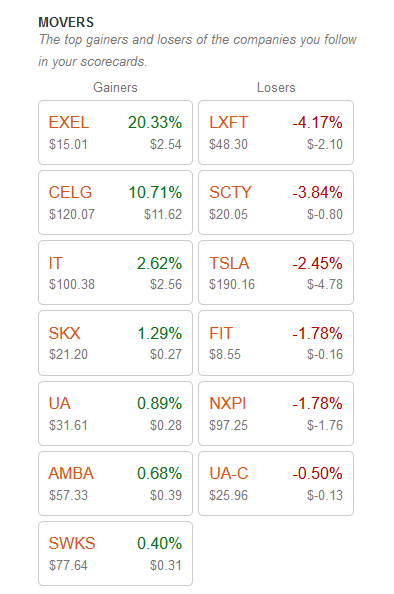 Day after day, for several weeks, I opened my investment account to see only red. My hand will go to the mouse and my finger would itch to press the ‘sell’ button. I didn’t succumb. Two months after starting my Rule Breakers portfolio, it was 17% down. It takes a lot of guts for a novice to stick it out through continuous loss. Four months after I bought my shares, things started to change and clear winners and losers started to emerge. Then, I realised that investing in value stocks demands complete commitment and continuous attention. You can’t just take it for granted and go on with your life. I found myself spending a lot of time reading about the companies I had shares in, becoming agitated when they were expected to report, searching for news related to the business. You see, success in value investing depends on timely knowledge and gut, not on luck. Investing in value stocks also requires sound judgement and courage. In the words of Kenny Rodgers’ song The Gambler, to do it right ‘…you need to know when to hold ‘em and know when to fold ‘em’. I did well for a beginner; and were I able to accept the heavy demands of value stocks investing, I would have continued to do well. I learned a lot about value investing and about investing in stocks and shares more generally. My portfolio was approximately 21% up. I had some awesome successes and spectacular failures. My best choices were in biotech. Let me tell you about Exelixis (EXEL). I first bought Exelixis shares at the end of December 2015 at $5.68 a share. I knew that the shares are undervalued and that the company has a drug for the treatment of later stage renal cancer in trial. So you see, there was a risk but there was also the promise of great reward: there was no competition for the drug. It all seemed good. Still, in late February 2016 Exelixis was trading at under $4 per share. I was convinced that this is it – I’ve lost again and this value stocks investing lark is not for me. I was a hair width away from ‘folding ‘em’. Then things started happening. The trial was successful and the drug was approved. Sales started to rise and the share price with it. Finally, I sold my Exelixis shares in early 2017 having made profit of 174%. Not bad for a newbie. I also had some spectacular flops. 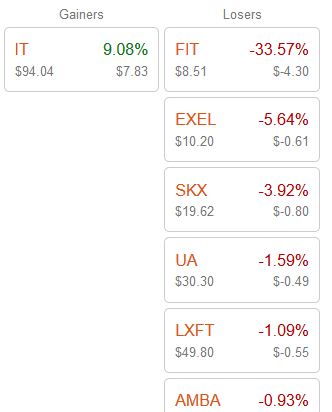 I’m most annoyed with Under Armour (UA); thinking about it, Fitbit (FIT) was a b*tch and well. Most investing sites tell you about the big stuff in value stocks investing. They publish graphs, calculate probabilities, do stock market analysis and tell you what to buy. This is all very helpful. Still, there are little things people don’t tell you and we all know the little stones turn the cart. The first thing people don’t tell you about value investing is that the market analysis you spend so long reading is mostly useless. This is not because it is not done properly or because the companies and people who do it are not professional. Quite the opposite, some of the absolutely top researchers work in finance. The realm of ‘the market’ is exceptionally complex and this complexity is layered. What do I mean? It is complex enough to model the market looking at value; e.g. Exelixis has a new cancer drug approved and it is likely to capture 70% of the market. Add to this the psychological aspect of value investing; e.g. most of the price of a share is about perception of value rather than value (this is also known as speculation). You see what I mean? The perceived value of a stock (of a company) depends on factors that are outside the vision, competence and control of the analysts. This makes value stocks investing volatile and its long-term results hard to predict. Remember the story of Theranos? Its founder, Elizabeth Holmes, went from the ‘youngest female billionaire’ to a ‘cheat not allowed anywhere near a lab’ within eighteen months. This is what I’m talking about. No way for investing buffs to know that the technology is BS and the whole value of Theranos is a mega illusion. Another thing that investing books and sites don’t talk about are the ‘small’ technical matters that can become pain the a*se. For me, this was NXP Semiconductors (NXPI). Let me tell you, I love NXP Semiconductors and our story goes back to 2012. This is when The Motley Fool sent me one of their teasers where they mentioned a company that is potentially the next Apple and they’d tell me which one it is if I only subscribe to one of their programmes. Fair enough, I though; keeping such a big operation going needs money, they support people to invest and need subscriptions. Then my mind started behaving like a hound on a hunt; this happens when something really gets my attention and raises my curiosity – I start following the trail and don’t stop until I’ve figured it out. John wasn’t keen so I left it. It was all well until Qualcomm decided that they want NXP Semiconductors and will make an offer for it. My investing platform put an ‘action’ on it asking me whether I’d accept Qualcomm’s offer to pay me $110 per share (at the time NXPI was trading at approximately $100). What do I do? What happens if I refuse the offer? Time for some more research, I thought. I knew that Qualcomm want 95% buy in; the fear of refusing the offer and getting nothing when they take over kicked in; and The Motley Fool said that accepting the offer is fine, it is in effect a 10% growth. So I said that I’d take the offer. Then my shares in NXPI, and my money invested in them, disappeared from my account. Okay, I had close to $3,000 in it and it may not sound a lot but it is my bloody money. This was in March 2017. Nothing else happened till October 2017. Except that I followed the news and the Qualcomm move on NXPI looked like it is failing – the EU blocked the merger and when a bureaucracy starts messing about, it really takes its time. I was getting twitchy. My money was in some kind of purgatory for invested funds and certainly not in my account. Meanwhile the share price kept going up and was 5% over what Qualcomm offered (and I accepted so many months earlier). I wanted my shares restored. How did I sort it out? It took one phone call to my investing platform. I know it sounds obvious but I didn’t know that; otherwise I would have saved myself a lot of bother and made the call five months ago. NXPI was the last share in my portfolio; I sold it at $115 per share. Thinking about it, I’m not sure that I have forgiven John completely; I would have made a killing if I bought when I wanted to buy. Well, this is the world of value stocks investing. Talk to your platform when you don’t know how to do something. So you see, my foray in value stocks investing resembles a real-life, passionate love affair. I fell in love, my interest was heightened, there were good times and there were hard time. 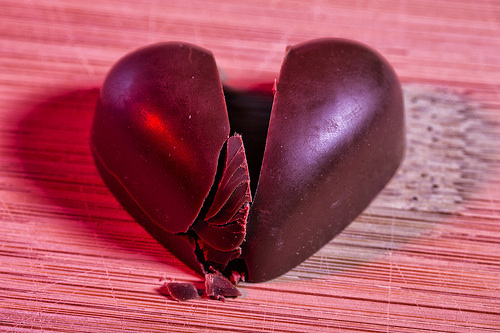 Just like any love affair, this one had to end; I had to return to the stability and tedium of a long-term relationship. I sold the shares in my Rules Breakers portfolio and put the money in Scalable Capital and a brand new Vanguard ISA. And just in case you think that I’ve been unfaithful to Nutmeg, don’t; my Nutmeg portfolio is very much alive and kicking – it has returned close to 7% since the beginning of 2017. Let me now tell you the top reasons I abandoned value stocks investing. To be successful at value stocks investing you need to learn a lot about investing, companies, how to read signs of company value, world developments, and need to be able to read future patterns. I invested in NXPI because, from all I’ve read, I believed that near field communication (the technology behind Apple pay, for instance) is going to take off. I bought Ambarella because I believe that drones are inevitable part of our future; and legislation around the world has been changing to accommodate that. It is not a one off learning you’ll need to do. Did you think that the great Warren Buffet reads so many hours a day simply for pleasure? He has to do it to keep abreast of so many developments. I liked learning about value stocks investing and the companies in my portfolio. Still, dedicating my life to it doesn’t rock my world. Remember I was telling you that most analysis you read is BS? This is unavoidable and immediately affects the control you have over the results of your investment. Most conditions for success are entirely outside your control. Think about it. Could I have done anything about Fitbit’s disastrous decision to compete in the smart watch market? Not a thing. Could I do anything about the EU decision on the Qualcomm – NXP Semiconductors marriage of convenience? Not a thing. When so many factors affecting the value of a company are outside your control (and comprehension) choosing wisely doesn’t cut it. This impotence in the main things, I could not – and would not – cope with. When I want to do a bit of modest gambling, I won’t do value stocks investing. When you are a value investor, you are largely on your own. When Warren Buffet invests he has an army of analysts. Trying to keep up will only get you tired and bad tempered; which makes it more likely to make mistakes and jump into disaster. This can be solved if you find an advisor – ‘real’ or on-line one. Thing is, because of the high stakes you really have to trust your advisor. For me this is difficult. You see, advisors have to make a living. Hence, given I’m a small investor, why is any advisor going to have my best interest at heart (as I’d have my interest at heart). Do I regret my brief involvement with value stocks investing? Not a bit. Starting and growing my Rule Breakers portfolio was for me what dancing cold sober on a bar counter must be for an introvert: scary and liberating. Investing no longer scares me. Trust absolutely in what others tell me to do. Meanwhile, I learned a lot about different investing options. I worked out much of what investing books and blogs don’t tell you. Most importantly, I know what investing strategies work for me. But this is a story for another day. @Deborah: Thanks and you officially made my day – this is exactly what I saw the purpose of this article to be. Support people who are just setting out in investing to take the first steps. I’ve given up specific share dealing too. Like you I used Motley Fool, but their Share Advisor service, not their Rule Breakers. I closed it after a couple of years, ultimately it was too time consuming and too many up’s and down’s! So I have settled for Vanguard ETF’s and a couple of specific funds. I’m happy. It takes about about 3 or 4 hours a year. I am getting a better rate of return too! @Erith: Similar thinking than. Though I did very well with my Rule Breakers. Still, I can’t see me devoting my life to share analysis which is problematic anyway. I’m diversified though: have accounts with Nutmeg, Scalable Capital and Vanguard – they use different approaches and portfolios. @John: Glad to have been able to help. Yes, value investing, done properly, was a good gig. Today it is harder and harder to do properly. To begin with, it is nearly impossible to identify under-valued companies. And as I said, too much work. There are other possibilities.